Pamela will be contributing to Copa Style Magazine monthly with her interesting views. The past is history, long-ago, ancient times, what went on before, etc. That being the case, it isn't necessary, wise, or healthy to stay connected to a past that hurt, belittled, abused, or otherwise caused pain, destruction, or anything else that diminishes who you are or who you were meant to be. History can be a most valuable point-of-reference. What went on long ago has a way of resurfacing when you least expect, and the effects of ancient times can manifest themselves in ways unimaginable. There is nothing wrong with identifying things that may be responsible for, or have influenced the painful or unpleasant past that was your experience. An honest evaluation is necessary if you are determined not to allow a painful history to repeat itself. Refuse to assume the powerless position of victim. Use the past to your advantage and consider it in terms of lessons learned, acquisition of wisdom, and the gift of greater insight. These are empowerment tools which motivate and inspire you to claim the greatness that is every human being's potential. To keep using the past as a crutch is counterproductive because dragging it into the present prohibits you from emancipating from the very thing you are trying to move beyond. To do so holds you hostage and dependent on those things that prevent growth, healing, and victory. To keep reminding yourself and others of a painful past won't change what has already happened. When we keep holding on to underlying beliefs that are prohibitive and restrictive, we are placing the past in places where it doesn't belong - our present and our future. Holding on is damaging because what was broken never fits into new time and space. Trying to force the unpleasant and/or damaging period of time into a place where it doesn't belong compounds the problem and prevents you from the having the future you desire. When hurt, abuse, destruction, or diminution of self from the past surface, don't panic. Assume the position of a winner and consider yourself a champion who refused to be consumed by forces that were intended to wipe you out. There is power in surviving. Your testimony is the evidence needed to demonstrate to others the empowering move of leaving a hurtful past where it belongs. You are in the blessed position to carry on with the Creator's purpose for your life. You survived for a reason, and that reason is the fulfillment of your life's purpose. Survival is proof of your power to place hurt, disillusionment, and feelings of worthlessness exactly where they belong - behind you. This kind of power isn't to be taken lightly. You have the energy to move forward and live life from a position of power. It's up to you to exercise that power. 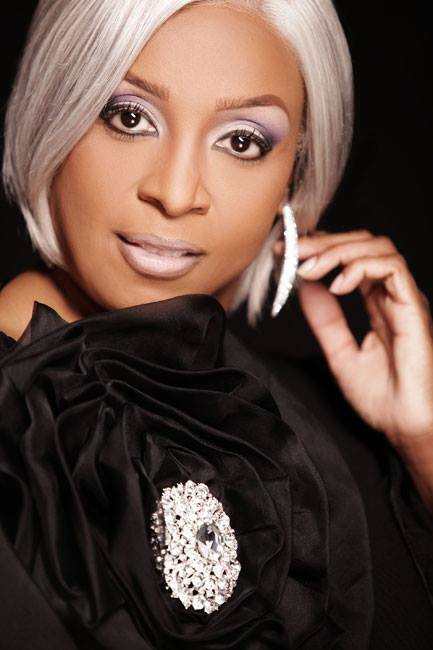 Pamela Reaves is a Certified Professional Coach, published author, and motivational speaker. Pam holds a Bachelors of Science Degree in Business Management and has over 30 years experience in working and thriving in diverse corporate cultures. She has appeared on a number of radio talk shows, participated in numerous blog-radio talk shows, and on cable TV talk shows. She has been a featured author and speaker at a host of other cultural events, book festivals, expos. To more learn more about Pam, her life coaching practice, upcoming books and events, visit her at http://www.pamreaves.com.